SWOPS | Equal opportunities in HR development – but how? Equal opportunities in HR development – but how? On May 18, we were able to set a major milestone with the swops Graduation Event. All project partners and guests from Sweden, Austria, France and Germany found themselves in the SRH University Berlin together, the results presented and discussed passionately about the European status quo and the future of equal opportunity in business. To continue the discussion, Dr. Thomas Rau, CEO at RKW Berlin Brandenburg, discusses below how equal opportunities can be generated through HR development according to his knowledge and experience as the SWOPS project coordinator in Germany. Modern, competitive companies need well-trained professionals. Attractive are employers for workers if they provide equal opportunities and good conditions for reconciling work and family life and if they implement diversity strategies in their companies. Facing the increasing demand for well-trained professionals enables a long-term plan oriented towards the interests of the employees in order to successfully meet the challenges of demographic change. Therefore, the central concern of SWOPS is to provide assistance for the development of a structural change oriented personnel strategy, which includes higher equality in decision-making positions. The project is targeted to the level of managing directors and other executives in SMEs. These should be supported by advice and guidance to put their corporate structure to the test and initiate structural adjustments. The awareness of role models, which bear the challenges of the modern world of work, is an important step on the way to a sustainable change in mentality in the upper echelons of SMEs. A guide for the analysis of gender-sensitive conditions in SMEs in the countries involved in order to ensure comparability between the participating project countries. A guide for conducting interviews on the same topics in participating companies to exemplary figure out the impact of the previously identified conditions but also to take stock of the consultation performance of the SMEs. The country analyzes and the interviews carried out in each case were under the responsibility of the project partners in the respective countries and in Germany under the RKW. The country analyzes and interviews were summarized by the RKW in an analysis. The presentation of a concept for a good practice study on the basis of the results achieved in the participating countries and processing of good practice examples from the discussions within the SWOPS project in Germany and drawing on examples from counseling practice of the RKW. Development of fields of action and implementation recommendations for the introduction of a personnel strategy oriented on structural change. 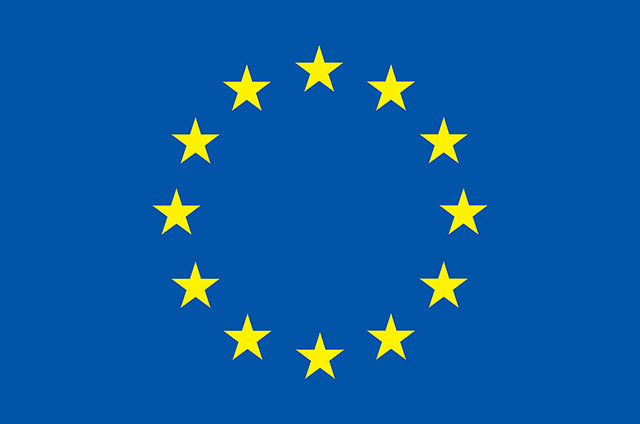 The fields of action are derived from the requirements of the EU and the results of the country analyses. For these areas, there is an extensive content synchronicity among the participating countries. The nine fields of action shown above are directed to a personnel management system that, based not only on the immediate economic interests, such as economy, efficiency and profits but also to the different circumstances of the employees in the respective SMEs and countries. For each action field, the companies and consultants receive criteria, measures, methods, indicators and tools. Given their specific operational needs for action and the complexity of the specific causal relationships involved is always a deliberate change process with appropriate and carefully planned steps, and a mostly longer-term orientation necessary. As success factors to overall planning and implementation principles can moor. In addition to the clear positioning of the management, it is crucial at an early stage to initiate a participatory stakeholder involvement. Only in this way the change process is supported on a broad basis and simultaneously initiates and promotes a collective learning process. The implementation of equal opportunities in companies requires a sustained process design that can best stabilize under an established management system, and from there improve continuously. To support the change process in the company, it may be helpful to involve a savvy consultant. But how do I know which consultant meets the requirements? The consulting model provides guidance by defining recommendations for the selection of personnel development consultants based on existing ISO, CEN and DIN standards. For the educational level recommendations are given according to the European Qualifications Framework and International Standard Classification for Education of UNESCO (ISCED; 2011). Depending on the levels in these classifications, the consultant should be able to prove sufficient work experience. A consultant is helpful, but equality in the company can not be imposed from outside. Primarily a cultural change within the company, s in the management and the staff (held) is required. Text: Dr. Thomas Rau, CEO of RKW Berlin Brandenburg e.V.